RESOURCES – A collection of information. 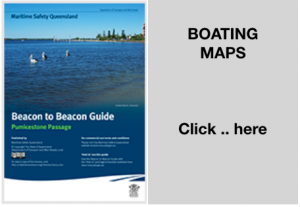 MARITIME SAFETY QUEENSLAND BOATING MAPS. A comprehensive list of quality boating maps can be found on this government website. The Marine VHF Radio Operator’s Handbook can be found on this website. QUEENSLAND TRANSPORT – PROJECTING LOADS. Kayak carrying guidelines can be found on this government website. During the day – You must display a brightly coloured red and yellow, or yellow flag at least 450mm by 450mm is fixed to the extreme back of the load. During the night – You must display a red warning light that is visible from at least 200m away, OR at least 2 red reflectors capable of reflecting from the headlights of a following vehicle. Kayarchy – Sea Kayaking Online Handbook and Reference. Kayak Paddling.net – An animated instructional site. It is presented in many languages…..press the English Flag for an English version. Occasionally, the Club paddles on local dams that are under the control of SEQ Water. All participants should be aware of the existing SEQ Water rules that apply. Kerry Richards, ex Natureline Kayaks. He can be contacted at 54728541 and 0402067759. The following are a good starting point if you are searching for gear. Expedition Kayaks – Sydney. Top Shelf Kayaks with an excellent on-line shop. Adventure Outlet. – Gold Coast. Give Craig a call. Gnarly Dog – A personal blog with interesting info.